You’ve probably seen cute, small, handmade toys popping up in your social media feeds every now and then. 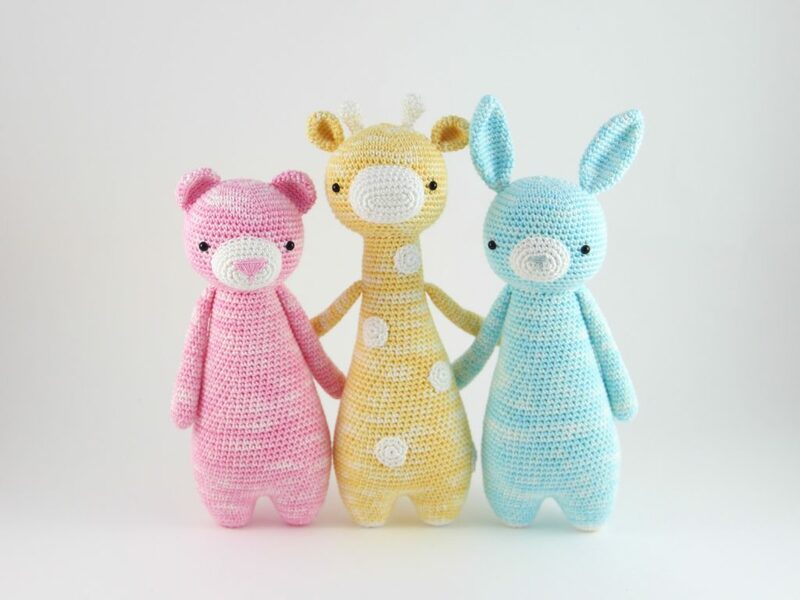 These awesome little guys are called amigurumi dolls. 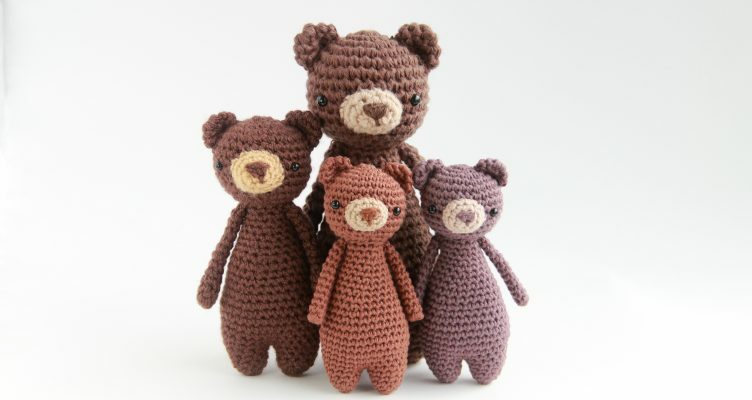 Amigurumi is the Japanese art of creating tiny plushies through crocheting in continuous rounds. In some definitions it also includes small (or large) dolls made by knitting and even other yarn crafts. To be honest, there are no official restrictions, you can be as creative as you are. Even though amigurumi dolls originate from Asia, their cute faces have taken the world by storm. Their popularity has grown since we entered the 21st century, and their fame doesn’t seem to wither any time soon. 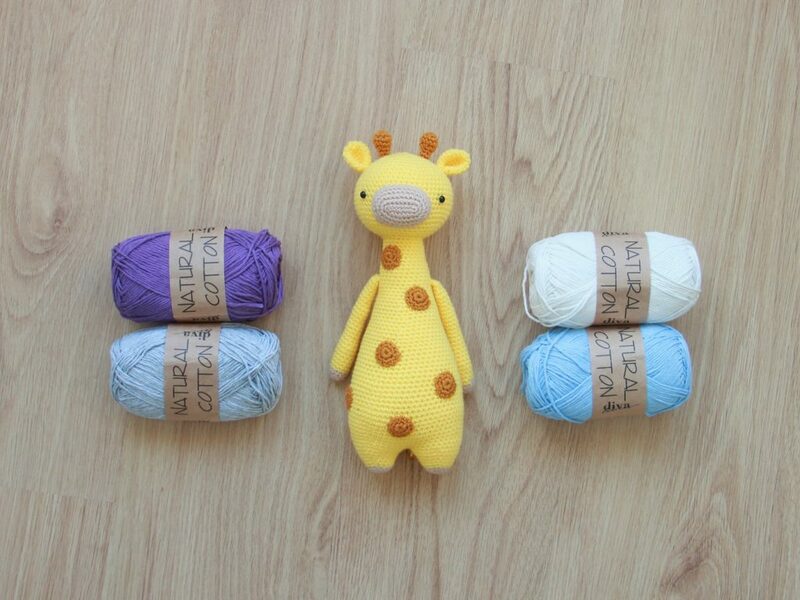 By now you’re probably aching to start your own amigurumi project. So how do you get started? Not all of us have crochet classes at our disposal, and googling tutorials, tips and tricks can sometimes seem overwhelming. This blog post will focus on crocheting, and will try to teach you how you can teach yourself. Teaching you to crochet would take more than just some words on a screen, but I aim to give you the basic tools necessary to explore the world of amigurumi and to feel more at home in this craft. So get comfortable and let’s go over the essentials! The first thing that you will need is a pattern. As you might have seen on close-up pictures, a crocheted doll exists of hundreds, if not thousands, of individual stitches. The quantity and type of these stitches determines the shapes that the finished toy will have. When you’re just starting out, it’s hard to estimate how many stitches will make what kind of model. This is where a pattern enters the picture. 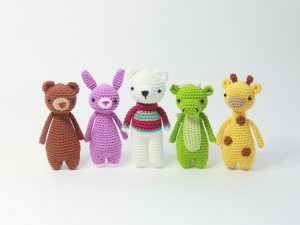 Because amigurumi dolls are crocheted in continuous rounds, a typical pattern describes the amount and the type of stitches that you have to make each round. They often guide you along the process and show a lot of step-by-step pictures. Patterns range from beginner’s level to intermediate to very hard. The harder the pattern, the more techniques are usually used. To be on the safe side, be sure to check the pattern’s description to see if it’s suitable for your level of skills. Hobium’s blog: Hobium publishes a small, free crochet pattern every now and then on their blog, so it’s an excellent place to try out some basic patterns for free. Ravelry: Ravelry is a gigantic database of almost all existing patterns. You can search their database with keywords for patterns that you like, and immediately get all information about where the pattern is available and what materials you’ll need to make them. There are also hundreds of groups and forums full of people willing to help you on your way. Etsy: Etsy is a platform where people can open their own online store. There are many indie crochet pattern designers who did exactly that. To browse around, simply search for ‘crochet amigurumi pattern’ and you’re set to flip through more than 17 thousand patterns, in a variety of languages. I, myself, am a designer too and you can find my personal store (with all of the animals from the pictures in this blog post), Little Bear Crochets. Amigurumipatterns: Amigurumipatterns.net is a great website that has a large collection of both free and paid for patterns. Several times a year they release a book with a collection of patterns from many different designers, so there’s never a lack of choice. Yarn: there are many types of yarn you could use for your projects. It is possible to pick any yarn you want for your amigurumi, but for now I’d advise you to use the yarn that the pattern recommends you to use. With yarn, it’s important to look at the type of material and the thickness. If your pattern of choice doesn’t suggest a particular yarn, starting with a cotton yarn of average thickness (sport, DK or worsted) is usually pretty accessible. Be sure to read the yarn’s label to learn more about its properties and its length. Crochet hook: to hook your yarn, you will need a hook. The size that you will need will depend on the yarn that you’ve picked. The label of your yarn contains information about what hook sizes are appropriate to use. Sizes vary from less than 1 mm to more than 10 mm, but for amigurumi, you will usually use hooks in the 2 – 5 mm range. Stuffing: you crochet the doll’s exterior, but you will still need an interior. That interior will be stuffing, which you gradually stuff inside the shapes that you are crocheting. Stuffing can be made out of a variety of materials, but the most popular one is polyester stuffing. It’s easy to use and you can find it in most crafting stores. It looks a bit like a big bag of fluffy clouds! 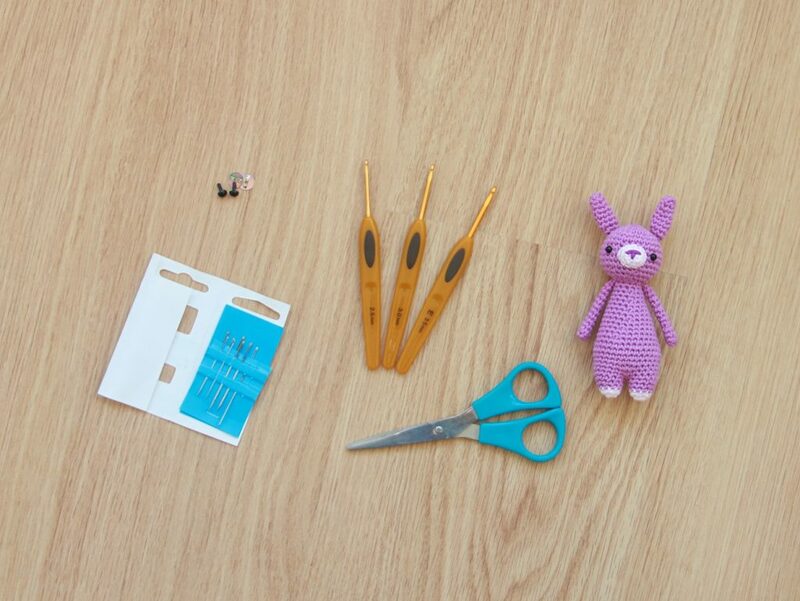 Sewing needle: with amigurumi, you often crochet all body parts separately and then sew all the pieces together at the end. You can use a regular sewing needle, but it doesn’t need to have a sharp point to function. Any old embroidery needle with a soft tip will do the trick. Safety eyes (optional): you could use these to give your plushie a realistic face, but it’s not necessary. If you’d like to do without, or if you want to give your doll to a small child afterwards, you can simply embroider the eyes with some thread. Magic ring/circle: this is a small combination of stitches that will start off almost all shapes that you will ever make. Sc: this stands for ‘single crochet’ or ‘basic single stitch’. It is the most regular stitch that you will perform the most. If a pattern says ‘10sc’ it means that you must do the single stitch 10 times. Inc: this stands for ‘single crochet increase’. To increase, you make 2 single crochets, but the trick is to do them in 1 stitch of the previous row, increasing the total stitch count of the current row. Dec: this stands for ‘(invisible) decrease’. With this stitch you reduce two stitches of the previous row into one stitch, decreasing the total stitch count of the current row. Ss: this stands for ‘slip stitch’. It’s a stitch that is regularly used to ‘fo’ or ‘finish off’ an amigurumi shape that you’ve just crocheted. This is why you’ll often use this stitch at the end of your work. All that’s left to do is to practice, practice, and practice! It’s a cliché, but practice makes perfect. Crocheting amigurumi is a skill that, like any other skill, needs to be trained with lots of patience before you can reap all the benefits. Fortunately, it is a wonderful and fun activity. Above all, it is extremely rewarding to finish your very own doll. All that’s left for me to say is: good luck! I love to try all patterns been crochet over 40.